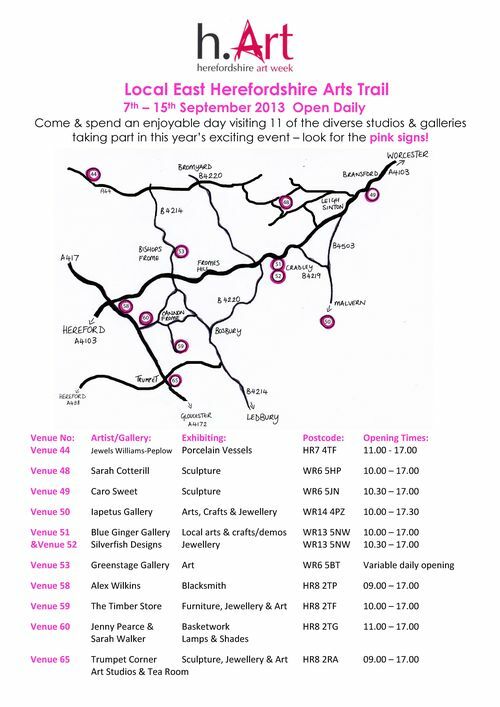 We’re nearly half way through our 9 days of open studio for Herefordshire Art Week. 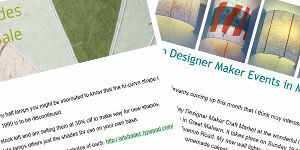 We’ve had lots of lovely visitors, many enjoying our work enough to buy and place orders. Just a reminder that we are open from 11am to 5pm each day from now until (and including) Sunday 15 September. I’m at Venue 60 (page 18 of the guide or see www.h-art.org.uk) at Vicarage Cottage, Canon Frome HR8 2TG. 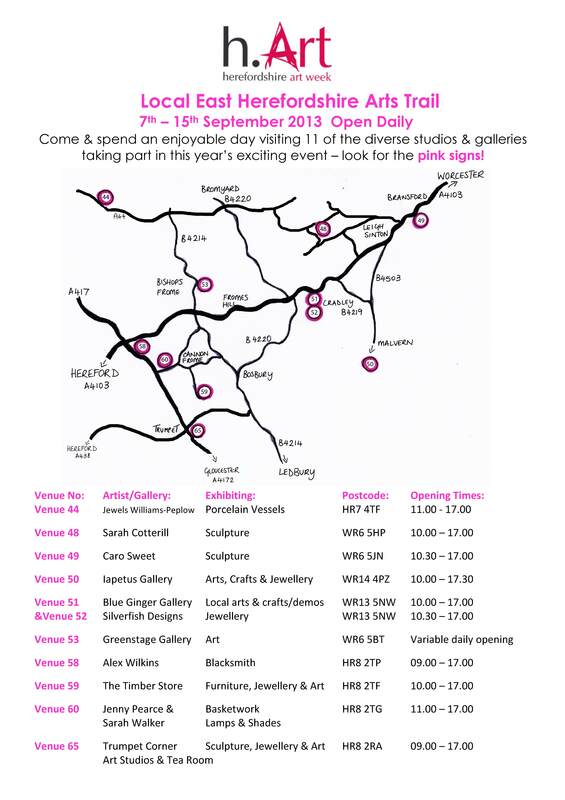 We are surrounded by many other talented makers at venues near us, so it’s worth the trek from wherever you are!